When I think of festive or holiday, I have to add in New Year's. The ending of a year and start of something fresh. What better way to do it than with Cult Nails Nevermore? I love the look of fireworks over a city skyline. Don't You? WOW!! These are crazy good. Love it! 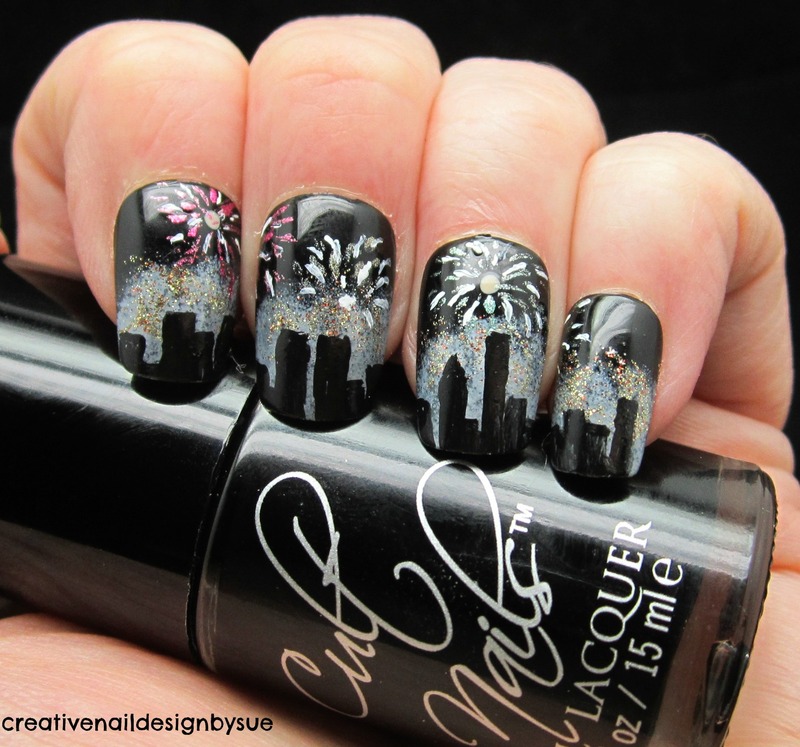 Can you come do this to my nails for New Years Eve?! Pretty please? Haha, this is so fabulous! This is absolute perfection, great job!!! this is perfect! So fabulous! O.O No words...just bowing down in fandom!